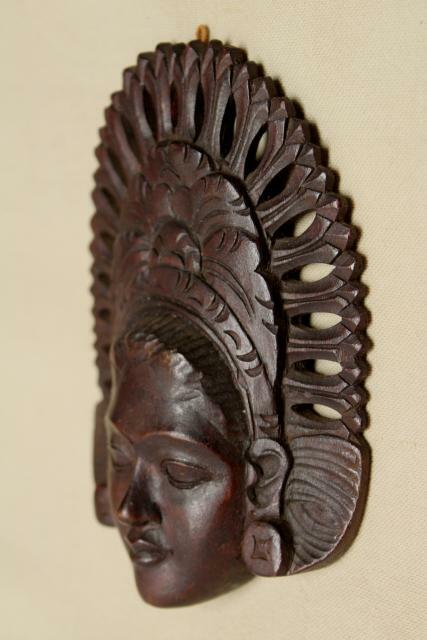 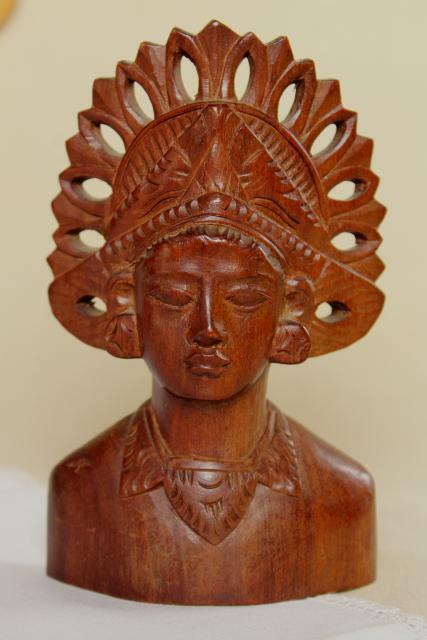 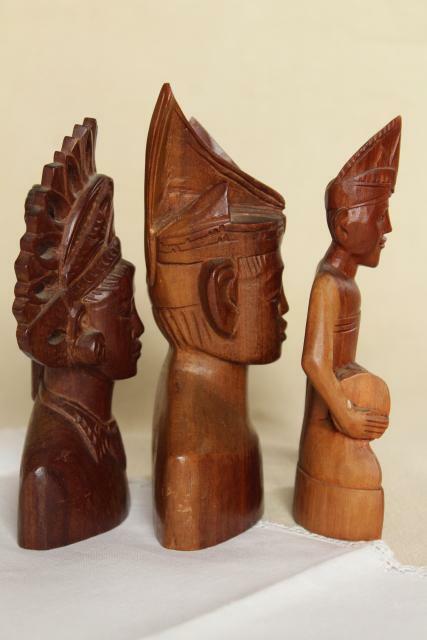 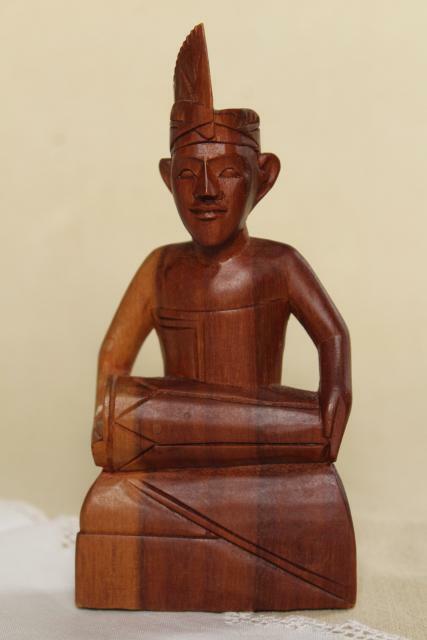 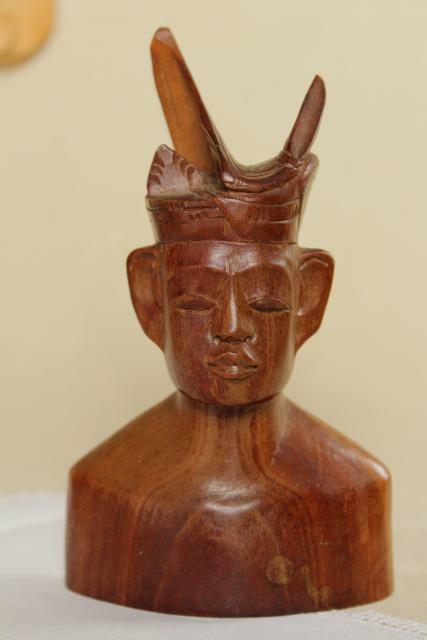 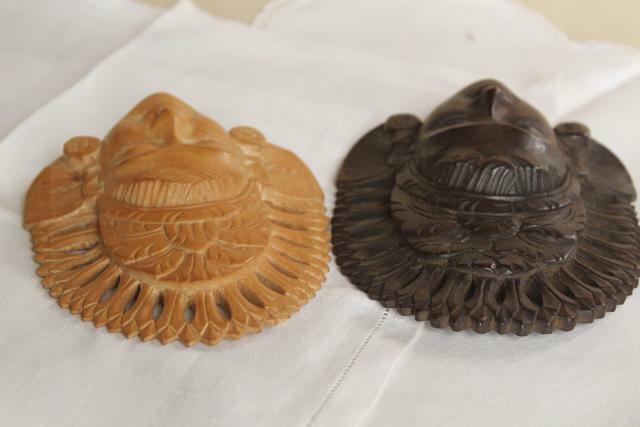 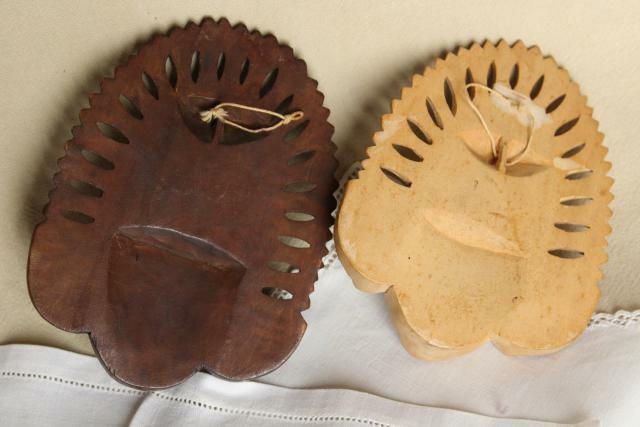 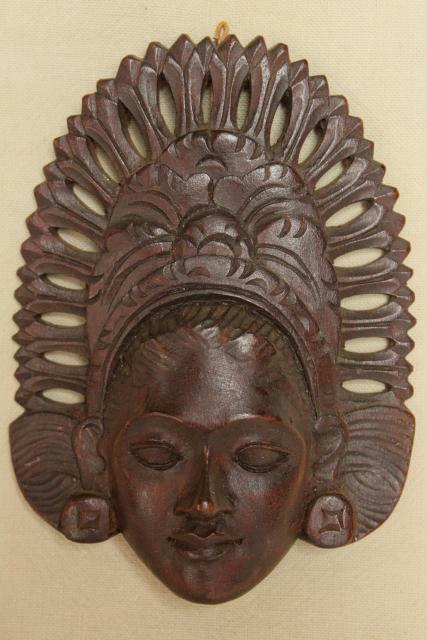 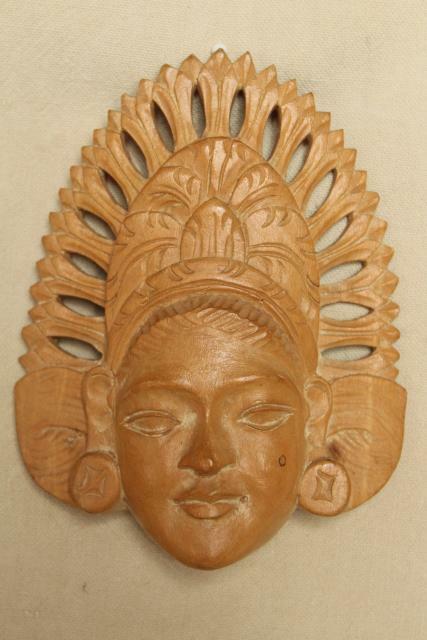 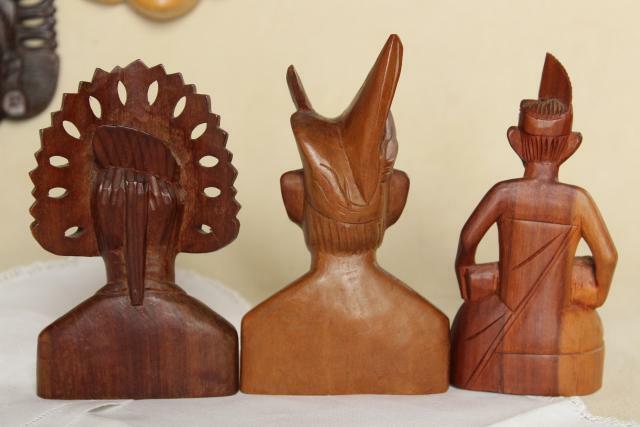 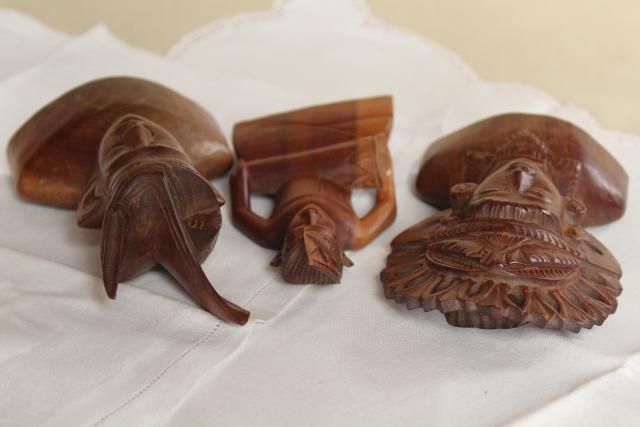 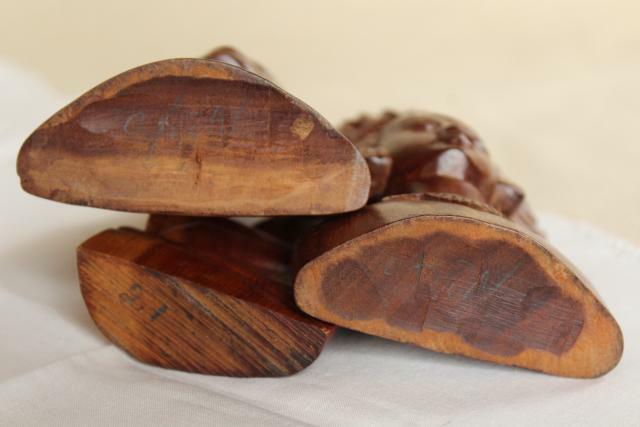 Collection of five pieces of hand carved wood art, masks and statues... all from Indonesia, we believe. 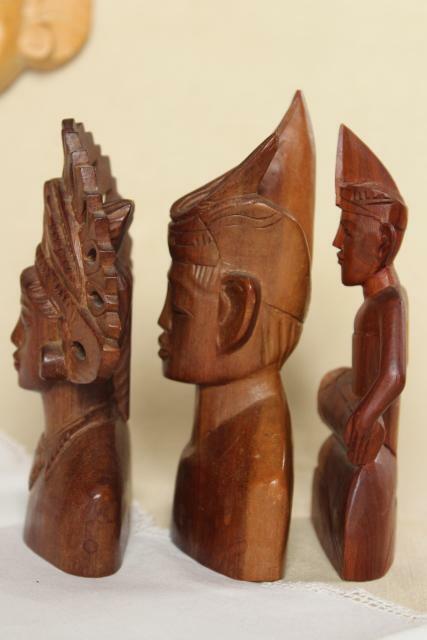 The headdress lady is a Janger dancer, the man is the horned hat is in traditional costume? 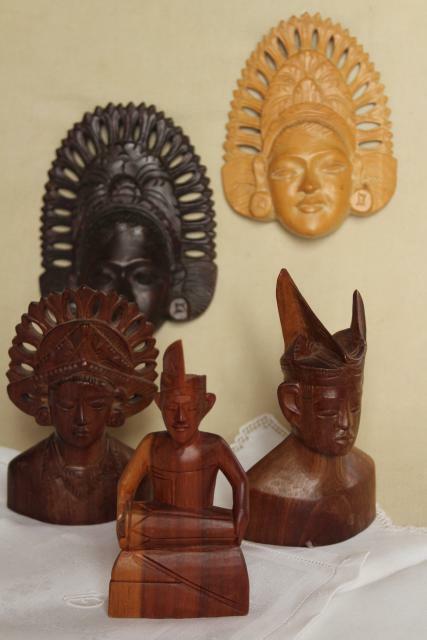 We have never been world travelers except in the armchair sense, forgive me if I have these wrong! 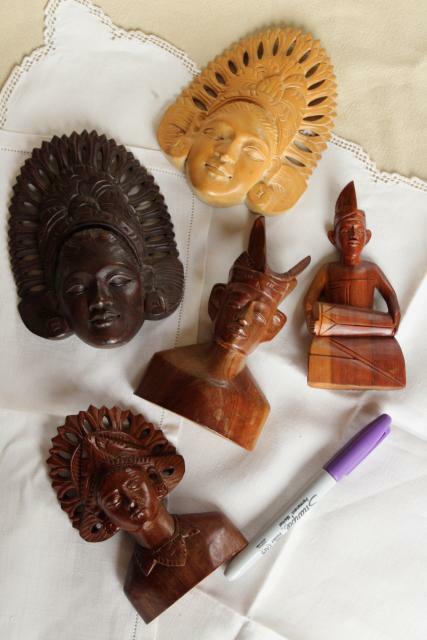 We thought these were cool, and nicely carved. 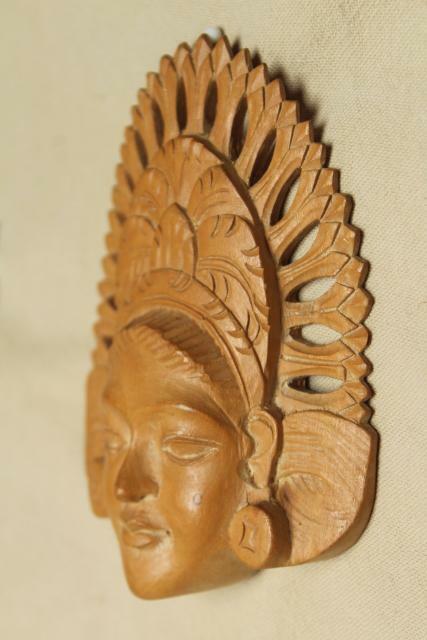 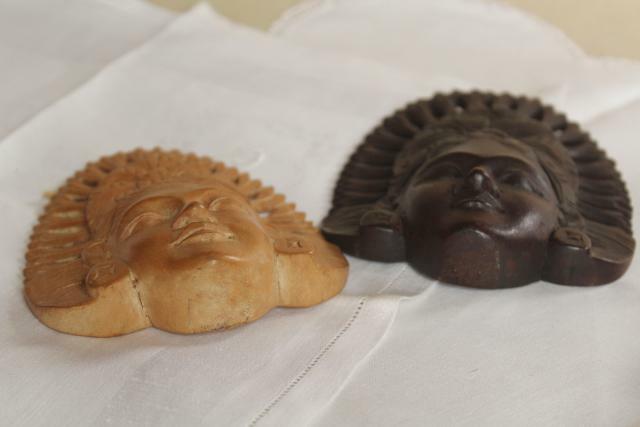 The largest mask is about 5 3/4" tall, and the tall bust carving about 5 1/2" tall.